Christmas is almost upon us and what stage of preparation are you in? Do you have a gift list made, have you bought any gifts? Or maybe like me, you haven’t given it a thought yet! It seems every year I’m out there a couple days before Christmas finishing up a few things. I’m becoming more minimalistic in my thinking though and along with that my Christmas shopping has become more minimalistic too! There have been Christmas’s in the past that I have gone into debt to buy gifts and I now realize that is the wrong thing for me to do. I want to remember the true meaning of Christmas, the birth of Jesus and make it more about that. But now, no more of my rattling on, let’s focus on why you’re here. 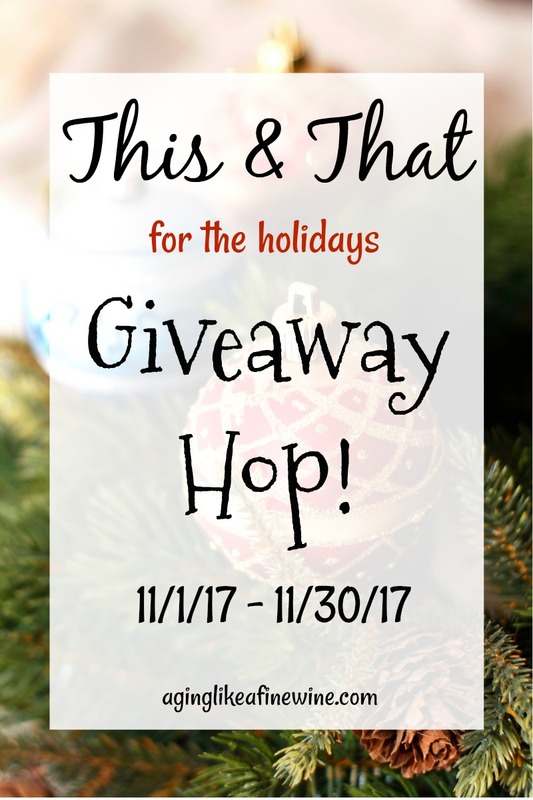 The This & That Holiday Giveaway Hop! 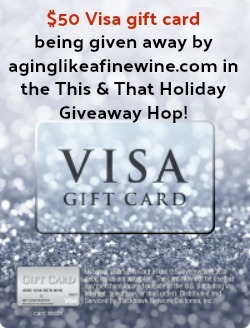 I am giving away a $50.00 Visa gift card in this giveaway! Who can’t use more money at this time of year? So in that line of thinking, I decided to offer the Visa card so you can purchase the gift you choose for someone special. So enter here and then go to all of the other blogs and enter there too! I received no compensation for this giveaway. I have started but I have a long way to go! I’ve only purchased one gift so far. Yes I shopp all year long so that the expense is not so big in December. I have not started my Christmas shopping. No, I haven’t started my Christmas shopping yet. I’ve not started Christmas shopping yet, I have a small family and not much to shop for. hahaha, noooo not one item, cant even think about christmas! I am over half way done with Christmas shopping! I try to make gifts, and also do gift baskets with food items, so I’ve been doing things since summer! But I haven’t done any real shopping yet. I picked up some gifts for Christmas. Yes, I have started my Christmas shopping. I started last month. No I usually don’t start until after Thanksgiving. No, I haven’t started my Christmas shopping! I don’t have a lot to buy this year, so I figured I could put it off a little longer. I have started my holiday shopping! I purchase year round so I have less to purchase near the end. I have not started Christmas shopping yet.. I usually wait til December to start. This is the first year that I’ve actually already started doing some Christmas shopping, early. No I haven’t started Christmas shopping. My husband and I are retired and take care of our adult autistic son. I try to win stuff to give for Christmas and birthdays. I haven’t started shopping for Christmas yet. I had three people I had to buy birthday gifts for in October and 1 in November. My husband and I are retired and take care of our adult autistic son. I try to win stuff for Christmas. Last year I won a $390 worth of skin care. I won a riding car for my grandaughter. And a amazon card for my autistic son. I have bought quite a few things this year. I will go to New Hampshire shopping for five days the first week of December. Thanks for the super giveaway opportunity. Yes, I have hopefully started my shopping by entering giveaways. I hope to win my gifts since it has been a tight year. We are retired and on a fixed income and in the past 7 months I have had 2 major back surgeries with complications. OUCH! Lots of extra medical bills. I have started and gotten about 10 items but with 5 kids, not near enough. I have begun Christmas shopping already. This year I wanted to get a jump on it. I’ve gotten a few odds and ends already. We don’t exchange gifts for Christmas (although we celebrate the occasion). My Kids birthday is December 11 and I’ve been ready for 11 months (I shop in January and get all the sales). Thanks for giving. Besos Sarah. I have purchased a few things so far. Christmas is my favorite holiday. I love spending time with family. I so have not started Christmas shopping yet. I haven’t started Christmas shopping yet. I shop for Christmas throughout the year so I don’t have to spend a bunch of money all at once. Thanks. I do have some stocking stuffers, but otherwise I haven’t done any Christmas shopping yet. I haven’t started my Christmas shopping yet. Oh, yes, I’ve started Christmas shopping. I start in August, lol. If I don’t, I’ll be broke in December. I sure have, I have nine grandchildren to buy for this year, so nana here has to start early. Yes. I shop for Christmas all year round. I actually have a few small gifts already. I haven’t really started seriously thinkiing about it yet though. Omg my! No! I’ve yet to even think of starting my Christmas shopping. Yes, I have already started my Christmas shopping, almost done. I have picked up a couple things but I got a looong way to go! That question is hilarious…and the answer is NO! haha I wish I was that organized! I don’t have the money yet, so I haven’t even thought about Christmas yet. God bless everyone! Just this weekend I started trying to come up with ideas of what I wanted to buy for each person. I actually started my Christmas shopping in September. I start by making lists and searching the web for ideas. I have yet to start Christmas shopping. I have not started Christmas shopping yet, but I will in the next couple of weeks. No, I havent started yet! Yes, I just started my Christmas shopping recently. I started my shopping in July. I try to have everything done as early as possible. I have several more things to get the grands then I’m done. I started my Christmas shopping in September. I stary by making lists. Nope, I have not started yet. I am not ready! I have not started my Christmas shopping yet but I did just start thinking about it. No, I haven’t bought the first Christmas gift yet. I never started early in the past because, as crazy as it sounds, I could never get in the holiday spirit unless I was rushing around getting those last minute gifts. Now that I am older, disabled and can barely walk, I can’t get out into the crowds to shop anymore. I have to do all of my shopping online. I have started my Christmas shopping. I start early in the summer. We have several grandkids so I have to start early. I have started my shopping, but have only managed a couple of gifts so far. Sadly I have not started my Christmas shopping! Just started my shopping today! I have not started any Christmas shopping yet. Actually, we probably won’t be doing much gift exchanging this year due to my husband’s medical condition. I have done a little bit of Christmas shopping this week. Actually I have started my Christmas shopping! Still have a lot to go yet though! I’ve asked my children for ideas, but I haven’t purchased anything yet. I have not started my Christmas shopping yet! I usually have started by this time of the year, but I’ve been so busy lately! I have stared my Christmas shopping. Who knows when i will be finished though :). 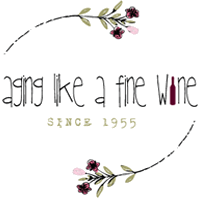 I haven’t done any shopping per say, I’ve been saving up some blog wins towards christmas either in the form of gift cards or actual prizes. Yes, I’ve started Christmas shopping. I really need to get started. My dad has a birthday next week, my fiancé has his december, and my sister in january. I haven’t gotten anything for anyone. No, I haven’t started shopping yet. No finances this year so it’ll be small gifts. I have started my Christmas shopping-I am about 3/4 of the way done. I have finished my christmas shopping for my kids but the rest of my family I haven’t even thought of what to get them yet! Yes, I started after Christmas last year if I found good sales. Yes, I am about half way done. I have found that you can get good deals before Black Friday and you don’t have to fight for the items (more selection). Stores are offering deals earlier and earlier. I have finished my Christmas shopping for everyone except 2 gifts on black Friday I’m waiting to buy then I’m done. Absolutely not. I stress out just thinking about it! NO!!!!!!!!!!!!!!!!!!!!!!!! and I always have it done by now! Yes, started about two weeks ago. Yes I started my Christmas shopping in august! I haven’t started my shopping yet but will soon. Yes, I have bought a few things already for Christmas. Yes I have. I started ordering a few things from Amazon since October. I’ve definitely started my Christmas shopping – more than halfway done actually! I am a last minute shopper so I have not started Christmas shopping. I have started. I am probably half way finished with shopping for my girls. thank you! I bought a few Christmas things already. I shop year round and just have a couple of stocking stuffers to get. I HAVE NOT BOUGHT ONE THING YET. I started my shopping weeks ago! I have not started my christmas shopping, I only have a few people to shop for so I can get it done fairly quickly. I am about halfway through my Christmas shopping. Yes, I picked a few items up for the holidays on Black Friday / Cyber Monday. I am done with my Christmas shopping! I always take care of it in November and usually online too. I don’t have a long list of people to buy for, and so it’s mainly for my 4 little nephews. Toys are fun so I like starting early! I have started my Christmas shopping but am no where near finished! I have started my Christmas shopping but still have those hard to buy for people to get. I am just about done with my Christmas shopping. No, have not started yet on the shopping. I always wait til the last minute to do my holiday shopping. I am done with my main shopping, I just need to buy stocking stuffers. I have about half of my Christmas shopping done. I haven’t started Christmas shopping. I try to shop year round as I find things. I did 95% of my Christmas shopping on Cyber Monday. I only need a few stocking stuffers. I started on Black Friday. Im really in the mood this year. I gave not started shopping yet! Yes, I have started shopping. I’m about 50% done. I have with help of my gofundme I’m about half done. I’m on hospice so can’t work with four kids. I have started my Christmas shopping already. I haven’t started my shopping. I don’t have much to do but I don’t get my check til the 1st. I had a couple of days off and actually just about finished. The wrapping is another story. Yes I have started my Christmas shopping for my grandchildren only! I have completed my shopping online. Glad to be done.